Images play a vital role in web design, so you will most likely use the Image Widget a lot while designing your website. Let's go over all of the settings you can control for this widget. 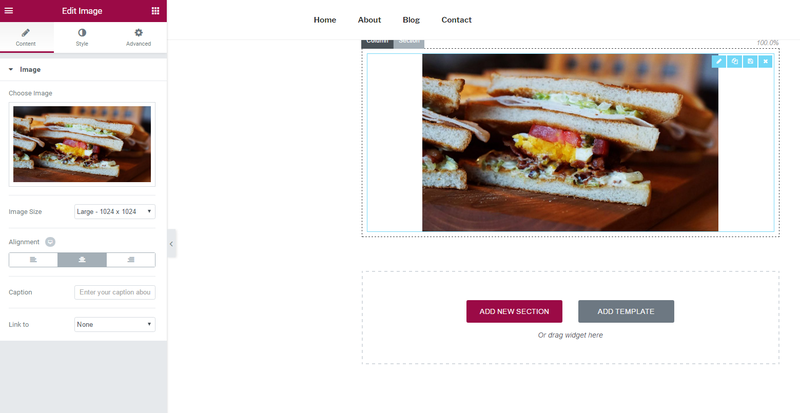 Image - Upload an image or choose Dynamic to dynamically use Posts featured image, Site Logo, and Author Profile Picture. Caption - Add caption to the bottom of the image. Link To - Set a link to a URL, media file or no link.he style tab. Caption - Set the Alignment, Text color, Text Shadow, and Typography of the caption. Note: Blend Modes/CSS Filters do not work with Internet Explorer.